Mobile Internet provides the user with many features. But to use them, the mere existence of a suitable mobile device little. Still need to your tariff plan connected to the Internet. And best of all, if it is unlimited. However, if you are an MTS subscriber, to connect these services to your room you'll be able. Please note that the service GPRS-Internet is added to all rates by default. But if you admit that could ever disable it deliberately or accidentally, send an SMS with the number "0" in room 8111. In return you will receive a list of connected services. If GPRS is in this list will not appear, so the service you really need to connect yourself. - dial the USSD command *111*18#. Wait for notification that the service is activated. 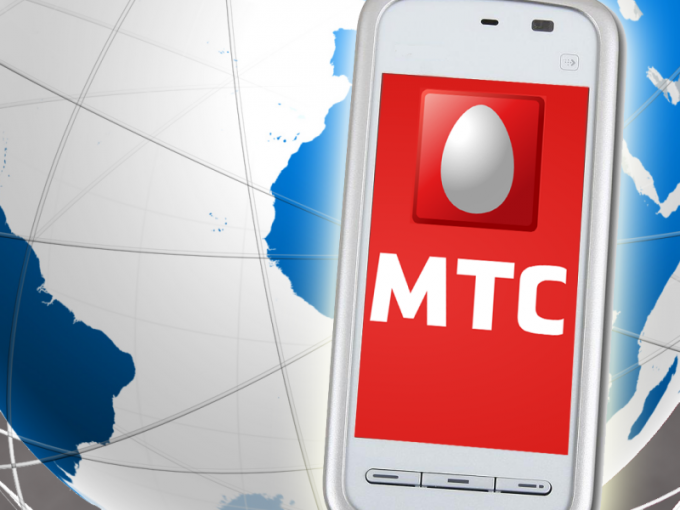 Install in your phone Internet profile of MTS. If the preset no, order them by phone on 0876 or send an empty SMS to the number 1234. Or go to page http://www.mts.ru/help/settings/settings_phone/. Enter your phone number in the designated field, select the desired image Anti-SPAM test and click "Send settings". If the settings did not come or was not preserved in your phone, install them manually using the links posted below on this page. Configure your computer for Internet access depending on your OS, using the recommendations outlined on page http://www.mts.ru/help/settings/gprs_edge/. Please note that if you plan to regularly use your number of MTS for Internet access, you can connect to your fare is one of unlimited options. In this case, your account will be charged a fixed monthly fee that does not depend on the volumes of used GPRS traffic. Read more on the website of the company http://www.mts.ru/internet/mobil_inet_and_tv/internet_phone/. After navigating to the page, select your region. Use to control the service and connection of additional options "Internet Assistant" https://ihelper.mts.ru/selfcare/?button. To set the password for entering the system, send USSD command *111*25# or call room 1115, and follow the voice prompts. Go to add services to the "Rates, services and discounts" "service Management". In the list you can check the availability of the connected services and disable unnecessary. To add new services – including unlimited Internet – click "Connect new service". Select from the list of service you are interested in. If you need more detailed information, click on located next to the blue icon with the letter i. To activate the service, click its checkbox and click on the "Next" button located at the bottom of the page. In the window that appears confirm the connection. Connection unlimited Internet on your account will be charged subscription fees for the service for the first month. If the money for balance, it pre-fill the account. For connecting the service GPRS-Internet and ordering settings for the phone are not charged.